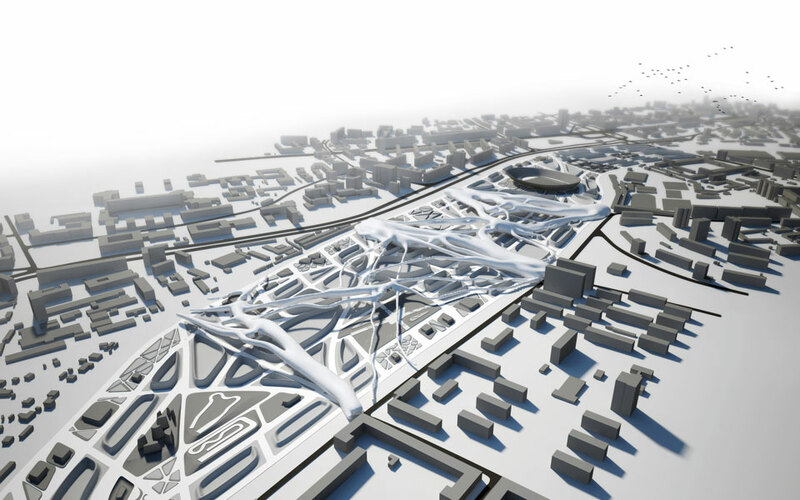 Parametric architecture makes understanding of complicated processes easier. Kyiv Passenger Train depot is a huge area that can and should be used today for the Kiev benefit. In addition to converting the space that is now used inefficiently, into the favorite leisure place for urban residents, the project pursues a second very important purpose – to connect Chokolivka and Polytechnic Institute neighborhoods that are now cut apart, belonging to the Shevchenkivskyi and Solomianskyi Kyiv districts. Pedestrian access will allow direct communication, while bike paths set arrangement will rise bicyclization of the capital on a new level, creating a strong local center of health and ecology.